I bring you a fluffer nutter sandwich! Take two pieces of bread (I use the 45 calorie wheat bread) and toast them. 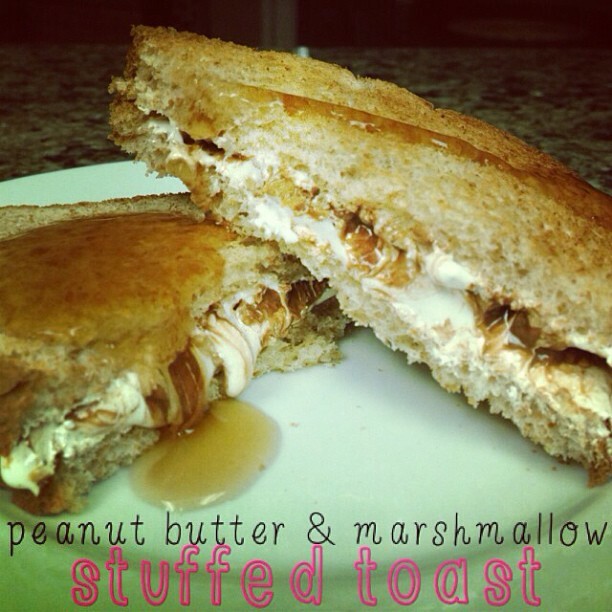 Spread on some marshmallow fluff and some peanut butter. You should seriously try Cookie Nookie by PB Crave. It's insane. Pour some syrup on top if you so choose. Enjoy!